Are menu calorie counts changing your appetite? Imagine going out to eat and browsing the dessert menu for a tasty treat. After you find the tastiest sounding dessert, you spot a slice of triple chocolate cake. Then proceed to read one slice alone has over 2,500 calories. Would that change your mind about ordering it? According to the Centers for Disease Control and Prevention, over one-third of the American population have obesity. In hopes of helping America’s waistline shrink, calories are now required to be declared in restaurants, coffee shops, bakeries, grocery stores, and other food retail stores with 20 or more locations. The Menu Labeling Law under the Affordable Care Act has been in the works since 2010 and went into effect on May 7, 2018. You will see all chain restaurants, coffee shops, bakeries, grocery stores, and other food retail stores declaring calories on their menu boards, menus, and even by foods on display. Having calories posted for restaurant type foods is supposed to steer Americans into making healthier menu choices and to promote restaurants to adjust their menu items to be healthier. However, can just posting the calories tell you enough about what is healthy and what is not? Some may say yes, and others no. It will add more transparency in the restaurant business like what has been done by the nutrition labeling laws for packaged goods. Calories posted will provide the tools to maintain a certain calorie intake throughout the day if that is a way you define healthy. It will also open many peoples’ eyes to see how many calories are in food. I would like to recommend a different approach though. Calories are not something to feared. You need calories to live and to supply energy to your body. Yes, you can consume too many or not enough calories in a day. However, the thing you should be considering when you are order is what is in the food. Calories are not a measure of how nutritious a food is for you. By that I mean, not all high-calorie foods are bad for you and not all low-calorie foods are healthy for you. Two food items with the same number of calories may not have the same nutritional quality. For example, a medium size donut has about 200 calories and an apple with peanut butter has over 200 calories depending on how much peanut butter used. Here we want to look at the food and ingredients not just the calories. The apple and peanut butter options offers soluble and insoluble fiber, micronutrients (vitamins and minerals), and healthy fats. A donut contains lots of sugar, refined carbohydrates, and potentially trans fats. Not all foods are created equal when it comes down to it. With that said, the Menu Labeling Law may help cut a few extra calories out of your meal, but choosing the healthy option goes far beyond a number. Look at the components of the menu item and the wholeness of the ingredients. I have said this in previous posts as well, you need to live a little. Enjoy that 2,500 calorie piece of cake every now and then. However, maybe share it between a few people or save part for later! Healthy isn’t about depriving yourself of certain things, it is about finding a balance of foods that allows a healthy relationship with food. Hello! I am a Registered Dietitian and have been the Nutrition Specialist at Great Harvest since July 2017. 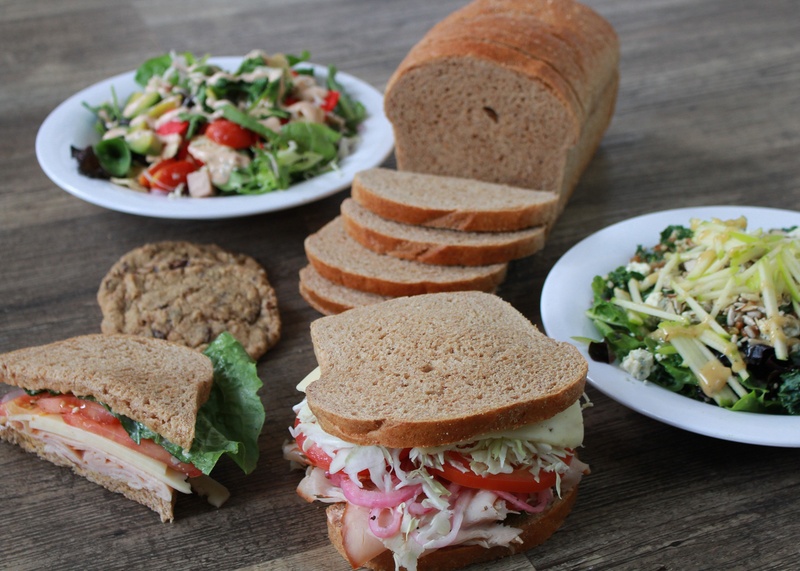 I grew up on Great Harvest bread and was interested in nutrition at a young age. I pursued my passion for nutrition at the University of Wisconsin-Stout and graduated with a Bachelor of Science in Nutrition and Dietetics. That same year I moved West to complete my dietetic internship at Montana State University. 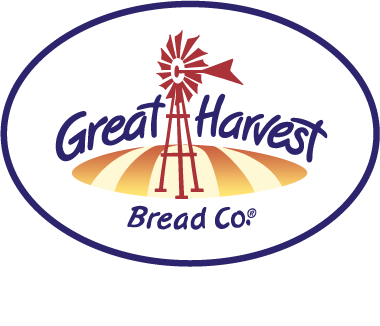 When the opportunity to stay in Montana and work at the Great Harvest Franchise, Inc. office presented itself, I could not pass it up. I could not be happier with the amazing, generous franchise team and the bakery owners I work with!